SquareMeal is the market-leading independent restaurant commentator, with reviews of over 5,000 London and UK restaurants and bars, written by a team of independent critics and comments from thousands of restaurant customers. Squaremeal keeps their audience up-to-date about new openings, the best venues and breaking news through weekly e-newsletters, a regularly updated website, the SquareMeal annual guide, quarterly magazines and frequent reader events. Their award-winning exhibition, Venues + Events Live attracts over 8,000 bookers to Old Billingsgate annually, with 250+ of the best venues and suppliers all under one roof, workshops, talks from industry experts, and five floors full of event inspiration. 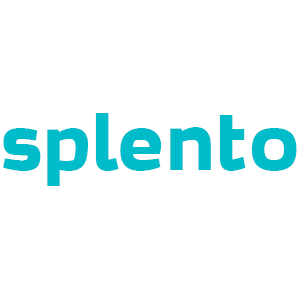 Splento were the official photography and videography partners for this year’s Venues + Events Live. SquareMeal’s general aim was to create buzz around the event. To do this, they needed high-quality content which could be used across their online and offline communication channels to supplement their PR and marketing campaigns. Full professional photography and videography coverage was needed, including photos of exhibitor’s stands, video interviews with visitors and exhibitors, media wall and after-party coverage, and a time-lapse video of the whole show from set-up to break down. Wider aims included increasing sponsor ROI, online and attendee engagement, boosting brand awareness and improving user experience. In order to provide SquareMeal with the best possible result, our photographers shot more than 10,000 images during the event, 3,200 of which were carefully selected and edited by our in-house team of experts. They were then uploaded to 563 individual online galleries, created by us, to give SquareMeal’s exhibitors, delegates and marketing and PR teams the freedom to view, download and use as they pleased. 352 attendees visited our mobile studio and had their professional headshot taken, which were available for them to download from their own, private, online gallery. We also provided ‘Live Images’ whereby we delivered a selection of photos in 2 hours so that they could be shared as the event was taking place. In total, we produced 20 hours of general video footage, over 50 hours of workshop footage and more than 20 fully edited videos. We conducted and produced 40 interviews with attendees, exhibitors and speakers in order to a 5-day time-lapse, which included setup and breakdown. We also produced 360′ footage of the main event floor, which can be viewed here. Splento has counted more than 1,900 visitors to our online galleries and over 3,300 individual photo downloads so far. Our Live Images and HotSpot features helped to increase brand awareness and online and attendee engagement and our mobile studio, with free LinkedIn photos for attendees, helped to improve user experience.